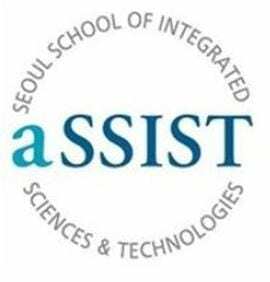 aSSIST (Seoul School of Integrated Sciences & Technologies) is a professional graduate school in South Korea offering Master & Ph.D degrees in business administration. aSSIST aims to foster business professionals that are highly aware of and knowledgeable about latest business-relevant trends and technologies, and their application to business sustainability and success. BSL collaborates with aSSIST to run a “Big Data Boot Camp” with South Korean MBA students who work on highly demanding business analysis projects with Swiss companies. As an example, during the Summer of 2018, aSSIST and BSL engaged with Nestlé and Swissquote to carry out two projects. The project with Nestlé will be ongoing during the year and up to and including the next Boot Camp in the Summer of 2019. BSL Faculty also travel to South Korea and teach on the aSSIST MBA programs. BSL and aSSIST also collaborate to offer a double PhD/DBA degree to South Korean students. A first cohort of 8 South Korean students have now begun this double degree, attending course modules in Seoul, and with BSL Faculty supervising their dissertations.